A native of Arlington, Massachusetts, Mr. Mark is a manager/member of the Law firm of Lavigne, Mark & Rogers, LLC in Willimantic. He received a Bachelor of Arts degree from the College of the Holy Cross, a Master of Science degree from the University of Connecticut, and a Juris Doctor degree from the University of Connecticut School of Law. 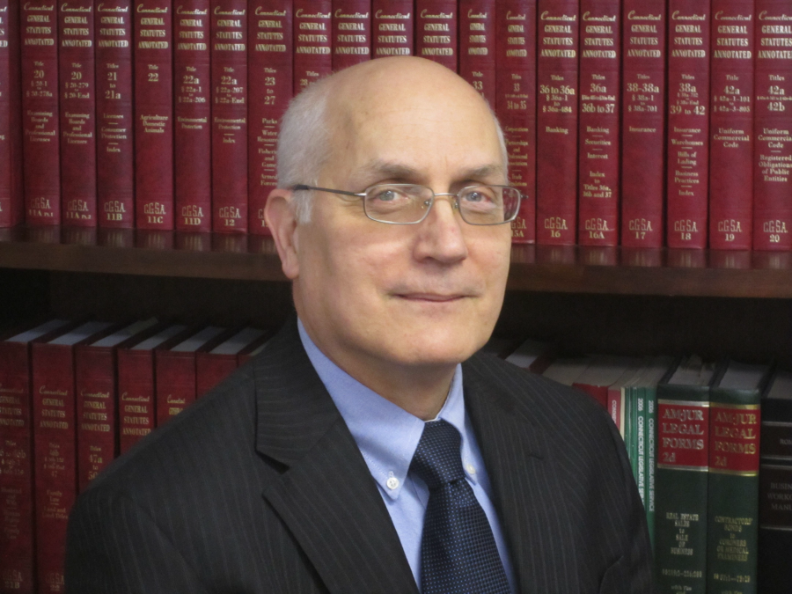 He has been a member of the Connecticut Bar for over twenty years, is admitted to practice before the U.S. District Court, and is also a member of the Connecticut Bar Association, Windham County Bar Association, and the American Bar Association. Mr. Mark’s practice is general in nature, with emphasis on residential and commercial real estate, family law, business law, and general litigation. In addition to his private practice of law, Mr. Mark serves as a member of the Board of Directors for the Covenant Soup Kitchen, located in Willimantic, Connecticut, and has been a resident of Mansfield, Connecticut for thirty-one years. © Lavigne, Mark, Rogers & Bruggeman Law, LLC.